Considering they have yet to take place, I don’t have an answer. But I will have one on September 7, 2013, after having tasted the food, dessert, and drinks of twenty-three food trucks and carts. Recipe for foodbaby-making you say? Well I call it a day of tasting talent. I don’t know about you, but instead of wondering about the teamwork, effort, and stress infiltrating the surroundings of Food Network Star contenders, I sit and wonder how I can be one of those audience members who get to sample one of the menus in the Food Truck Faceoff Round. It’s not that much of an out-of-scope question. After all, the contestants are people just like you and me, with a passion to share their culinary prowess with the world. The Vendy Awards resemble this Food Network Star challenge, except that the merriment contained in ticket to the former is endless. Attendees can fill their stomachs to their heart’s content from any of the food truck finalists, while enjoying an open bar of beer, wine, non-alcoholic beverages, and of course, live music and performances. At the very end, you’ll find vendors clutching their steering wheels and cart ends, hoping that the esteemed judges in you will give them a vote for the People’s Taste Award. Now in its Ninth Year, The Vendy Awards has come a long way to having twenty-three finalists from only having four in 2005. The growth and success of the awards have stemmed from the endless efforts of The Street Vendor Project, a nonprofit organization geared towards ensuring legal rights and providing financial support to struggling street vendors. 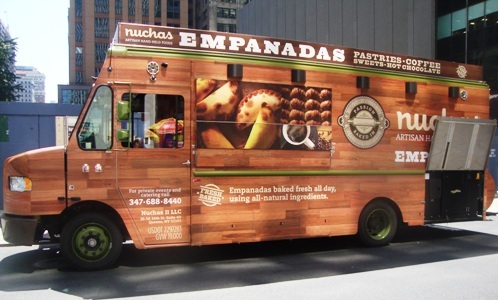 With this group of individual benefactors and private sponsors, more food trucks and carts have become more self-sustaining, adding to the street food culture of New York City. Today, so many diverse trucks and carts exist, paving way for more Vendy categories like Rookie, Dessert, Market Vendor, and Best of New Jersey, aside from the overall VendyCup and People’s Taste. In fact, two of the Rookie Finalists, Nuchas and Toum are partnered with FoodtoEat, allowing their respective Argentinean and Lebanese foods to be ready for pick up with a click of a button. Ariel Barbouth, owner of Nuchas, bakes fresh empanadas, a popular Latin American snack that can either be savory or sweet. 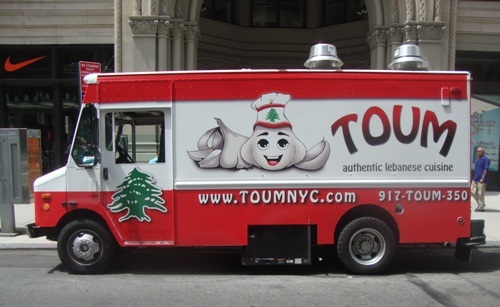 The other food truck, Toum, happens to be New York City’s only Lebanese cuisine on wheels, offering zesty specialties like the “Grilled Kefta Sandwich.” The brilliant chefs behind the creation are husband and wife, Rodrigue and Christine Chebli. 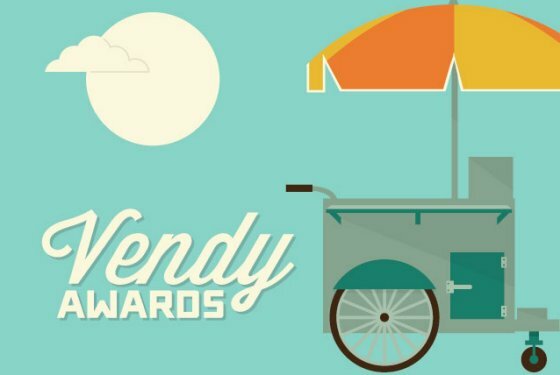 Trend has it that tickets sell out before the date of the Vendy Awards so get yours today at http://nycvendys2013.eventbrite.com/!